We are Valeria and Mattia. 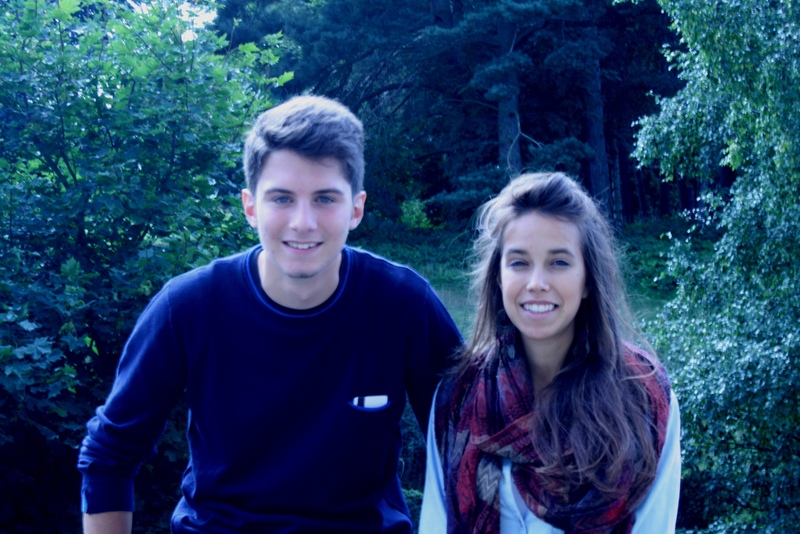 We are eighteen year old Italian students from Padova, a nice town close to Venice. We attend the last year of High School before University; we study foreign languages. I (Valeria) am studying English, French and German, while Mattia is studying English, Spanish and Russian. We are here in Durham for a three week working experience organized by the “Leonardo da Vinci” project, that gives the possibility to a lot of students like us to work in a foreign European Country for some weeks. We work at Durham County Council at the International Relations Office: our main tasks are generic office works, such as writing e-mails, filling documents, making photocopies. We also take part in the realization of meetings organized by our office, like the European Day of Languages. There are other four students with us: two are working in Durham at Clayport Library, whereas the other two are working in Consett. I love walking up and down in Durham, looking for little shops and typical coffee rooms, eating English products and discovering slowly English lifestyle. What’s more, I am looking forward to visit the cities in the nearby and meeting new friends! I think that this is a wonderful life experience, because we have to live on our own, cooperate with foreign people and try to improve our skills and knowledge. We have to be confident and reliable, and this is not always easy. I hope to return in Italy as a better young woman, speaking better English, too. I am really excited to live the next weeks here! but I almost think the same things :I think that this is a great opportunity because it introduces us into the “working world”. We have a lot of responsibilities as we have to manage ourselves. Being here is like a challenge: we have to face with a different culture and a different language. We are sure we will enjoy this three week experience here in Durham! How fantastic! What a wonderful opportunity; I hope you feel you are having a great experience. Best wishes to you both.